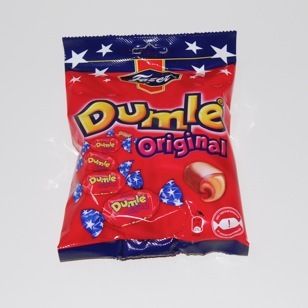 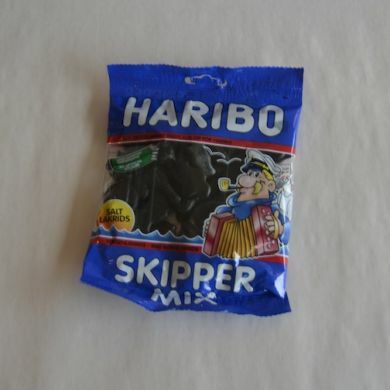 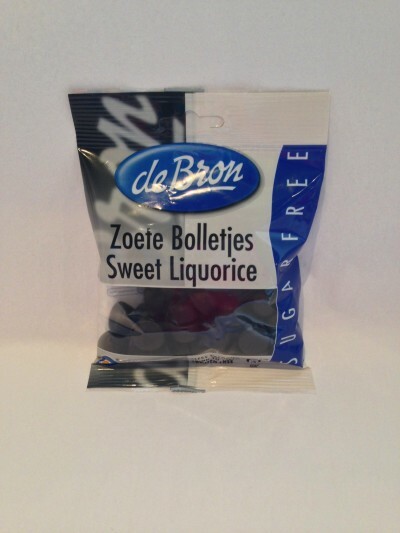 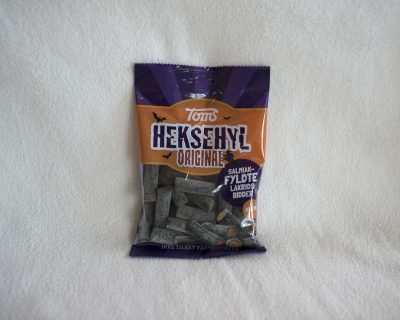 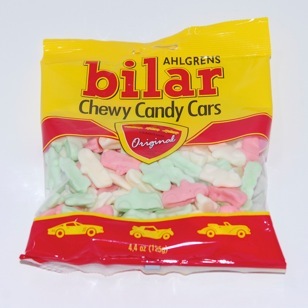 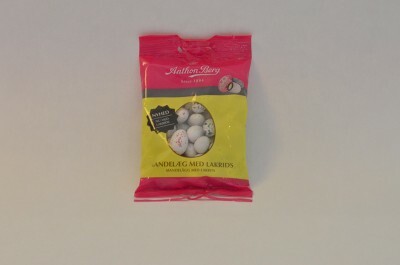 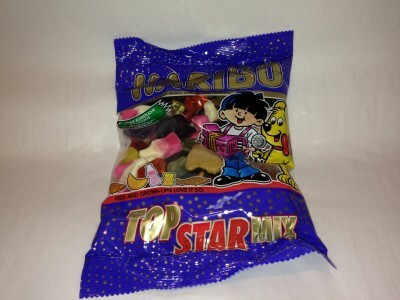 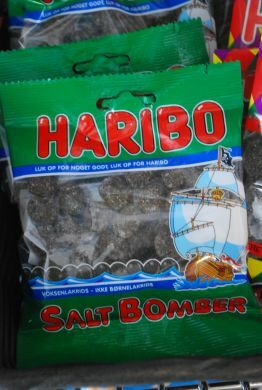 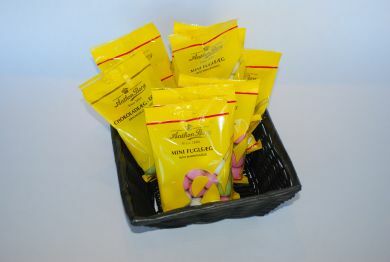 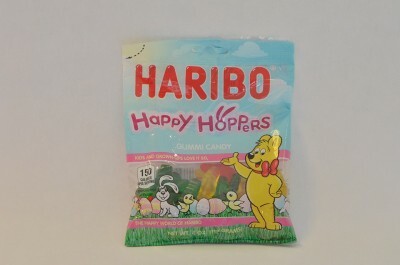 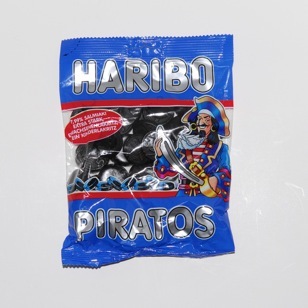 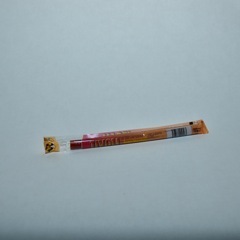 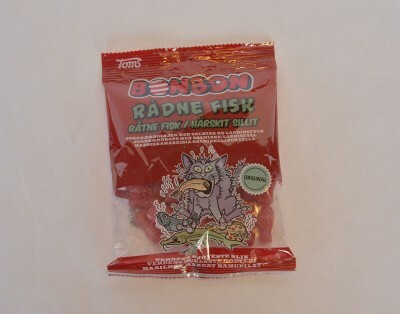 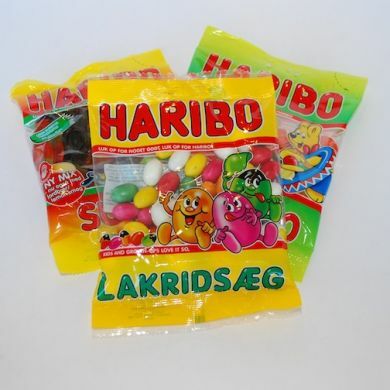 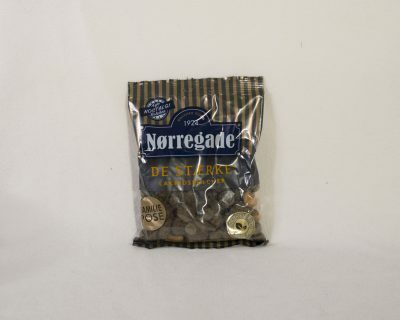 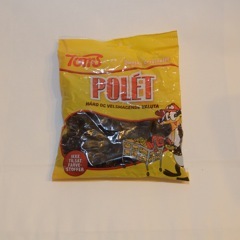 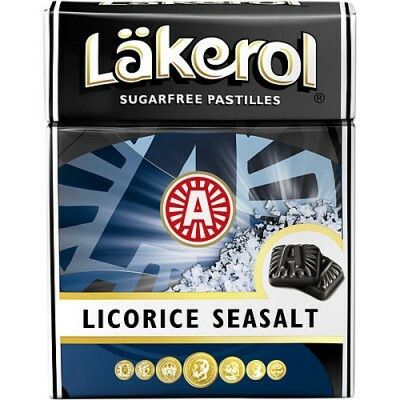 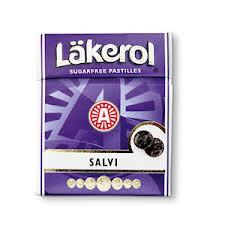 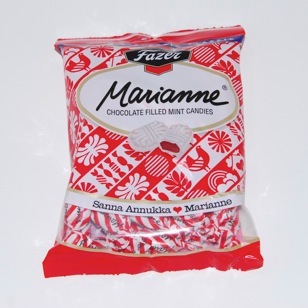 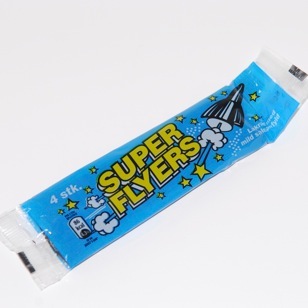 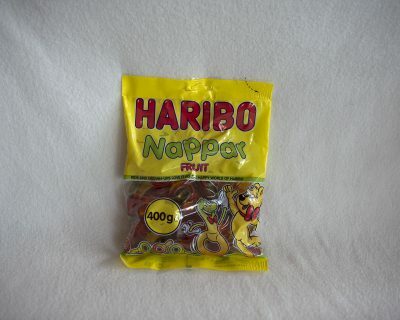 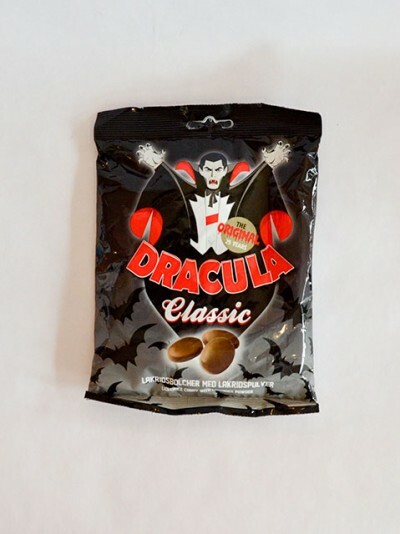 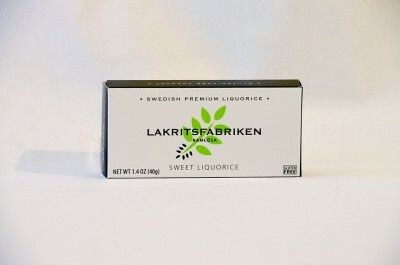 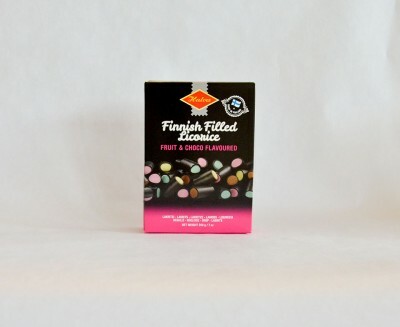 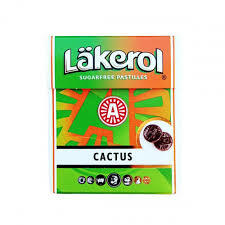 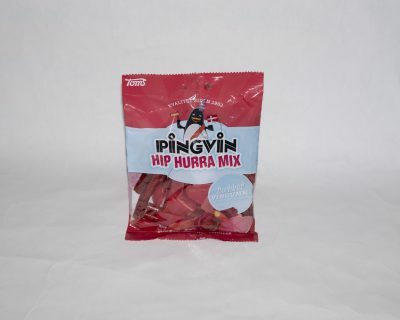 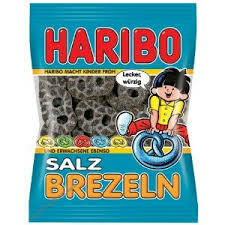 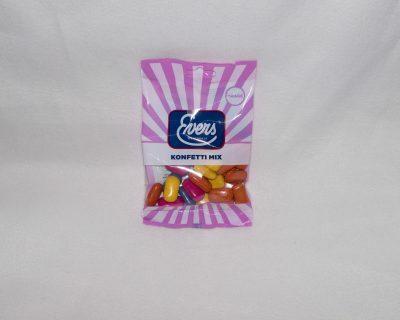 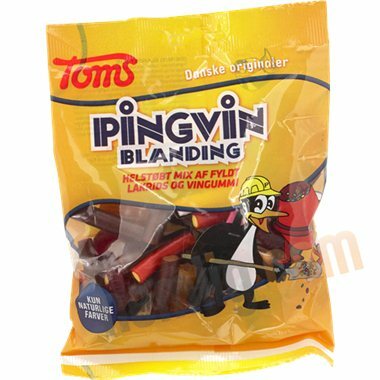 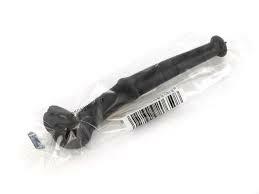 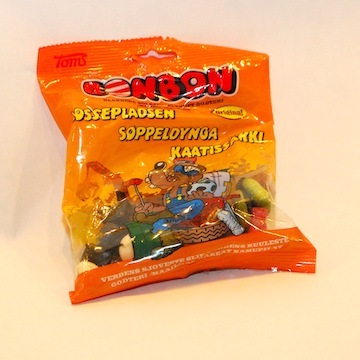 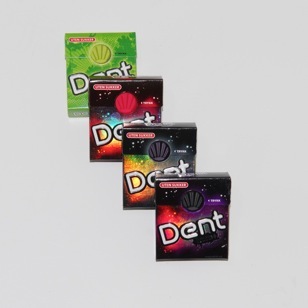 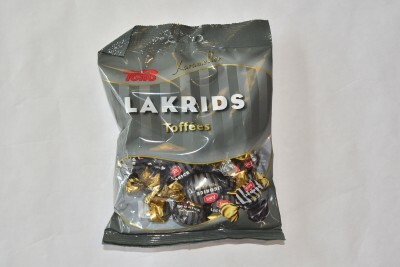 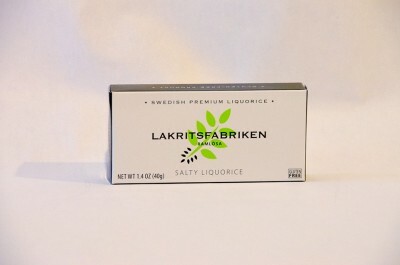 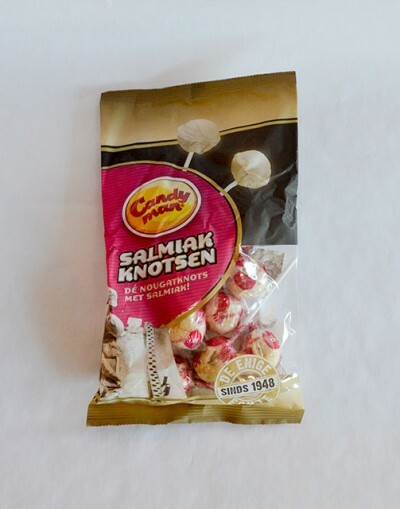 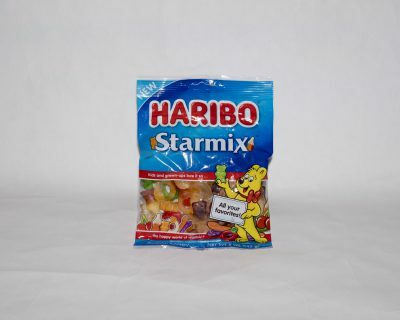 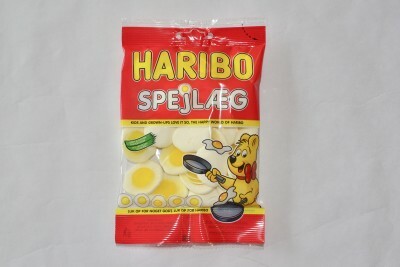 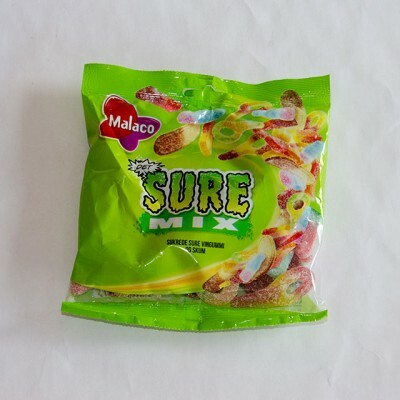 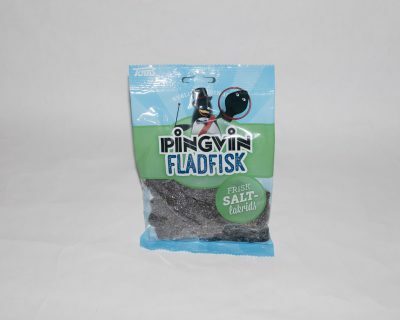 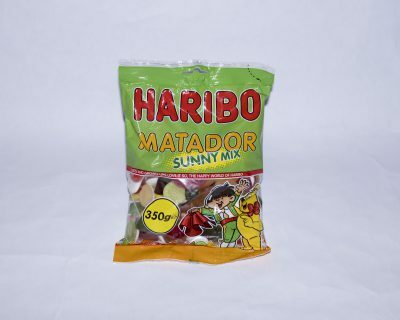 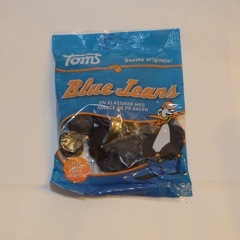 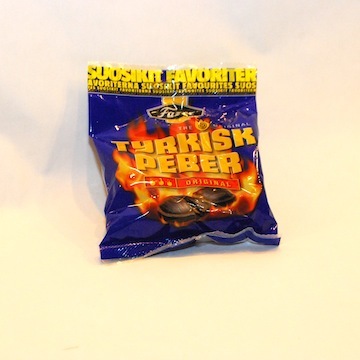 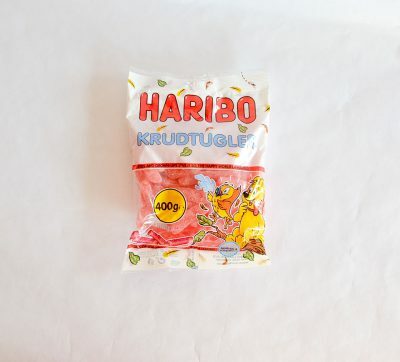 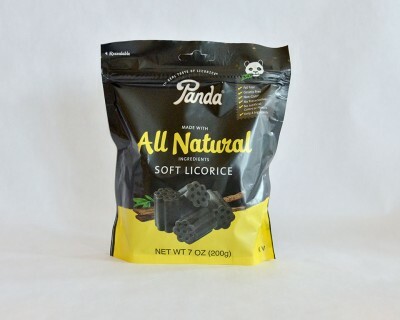 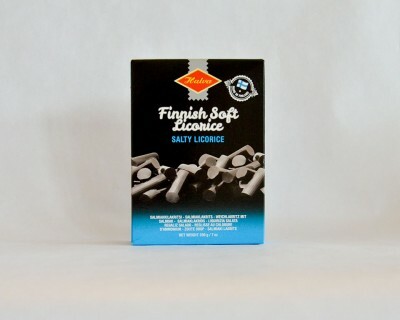 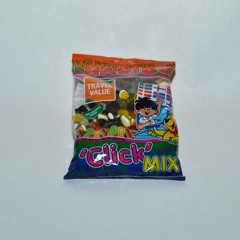 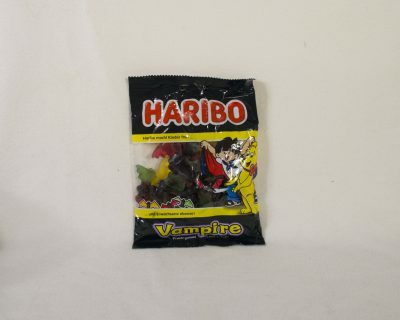 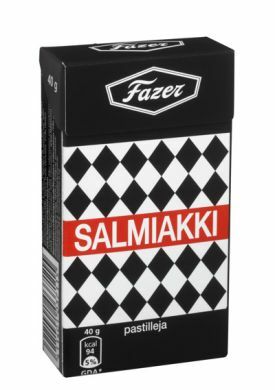 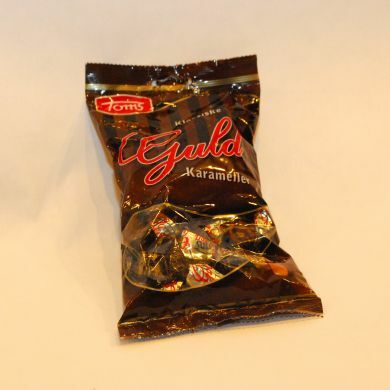 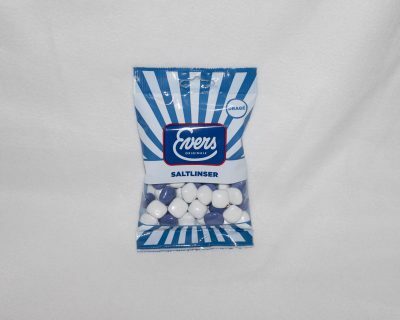 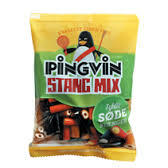 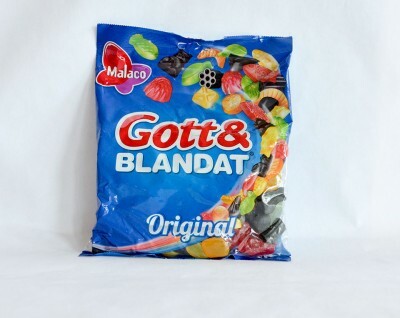 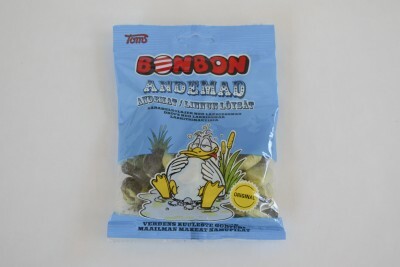 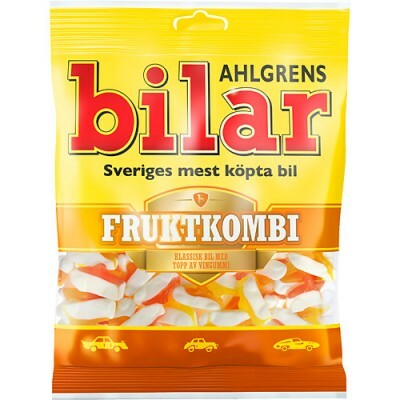 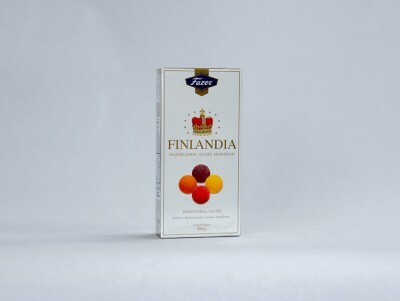 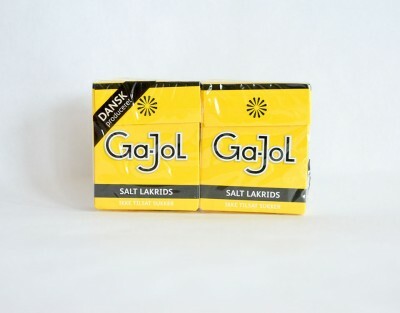 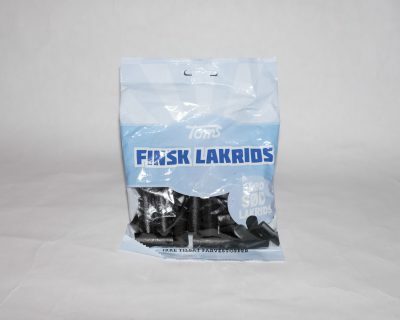 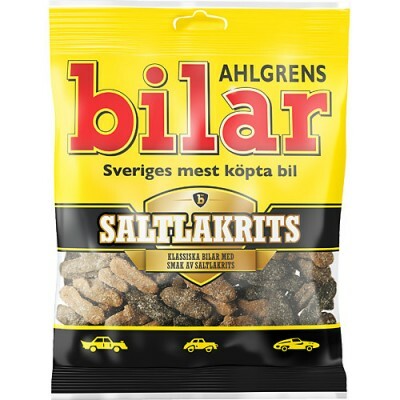 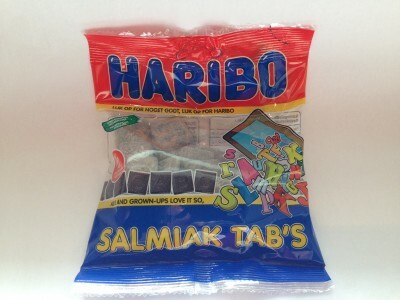 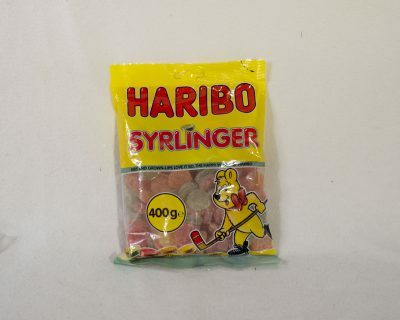 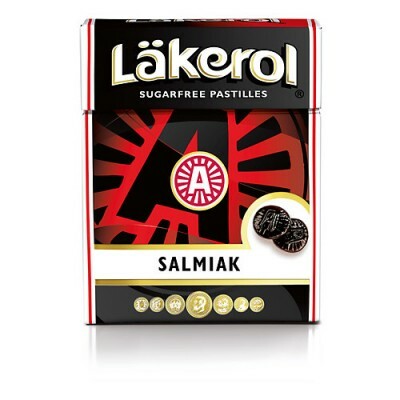 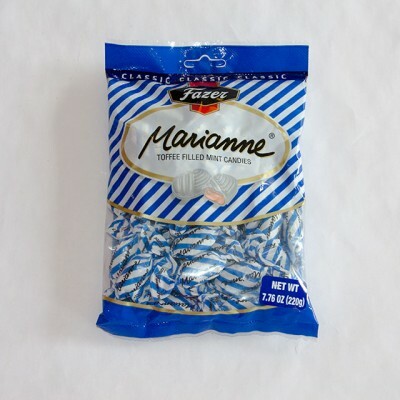 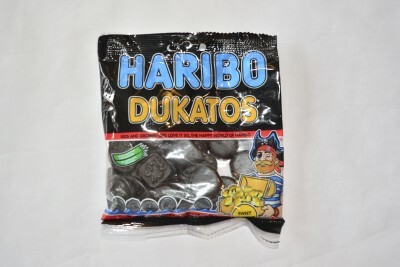 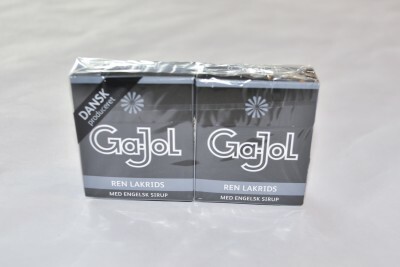 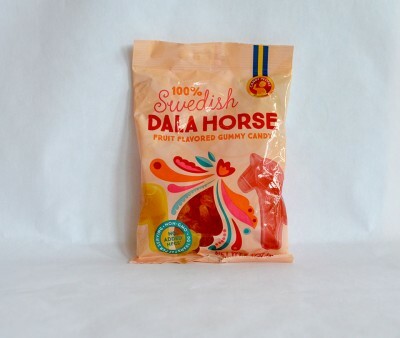 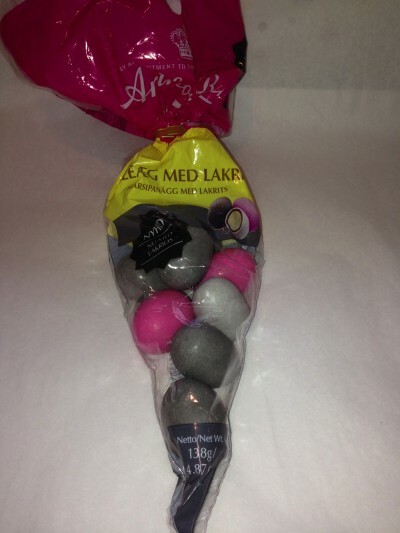 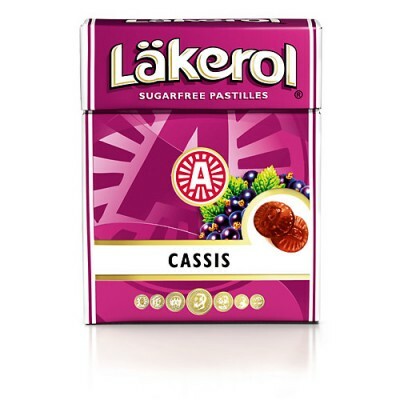 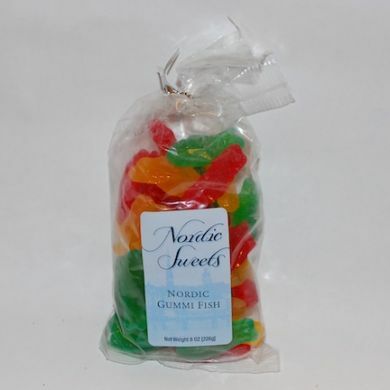 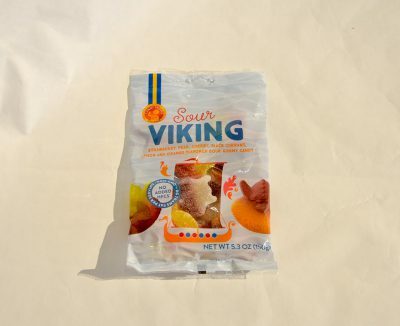 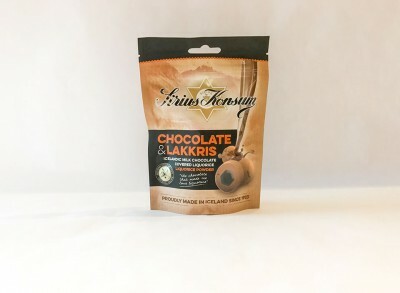 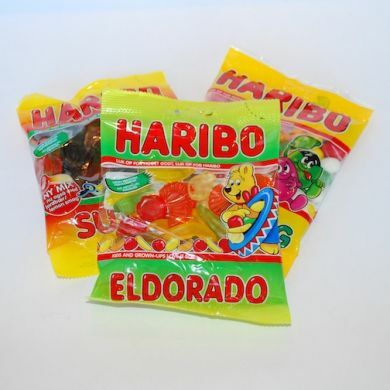 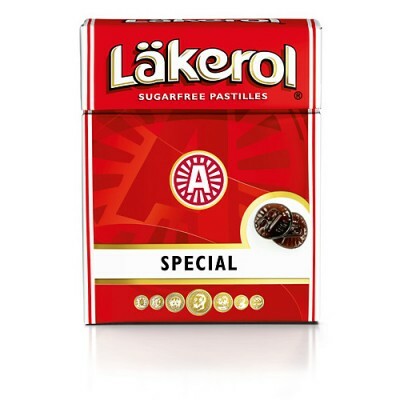 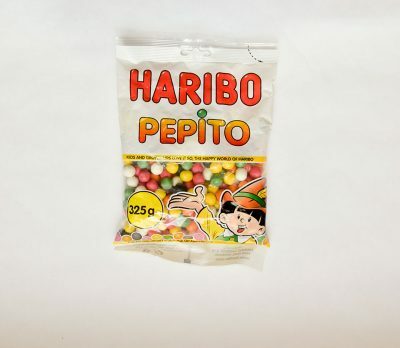 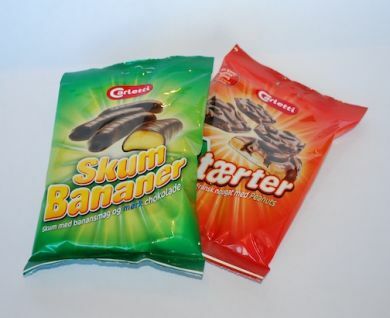 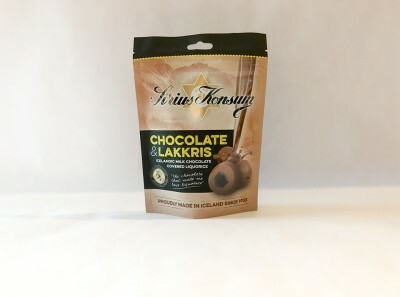 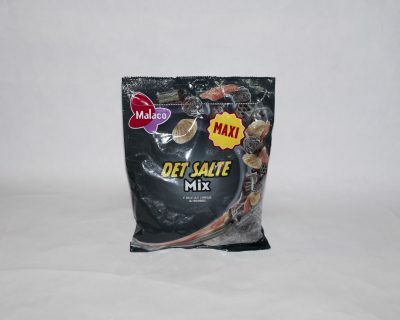 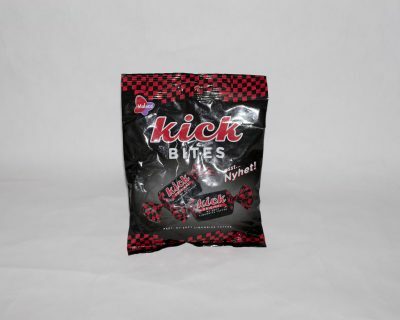 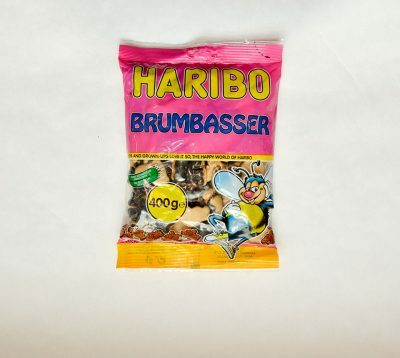 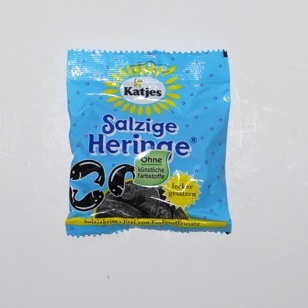 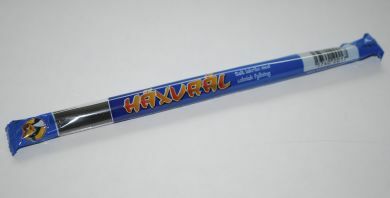 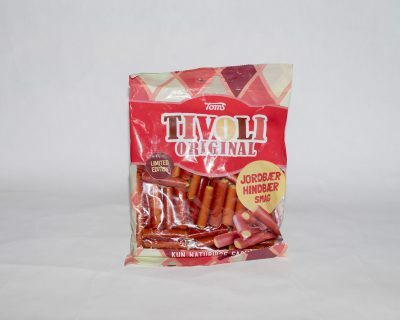 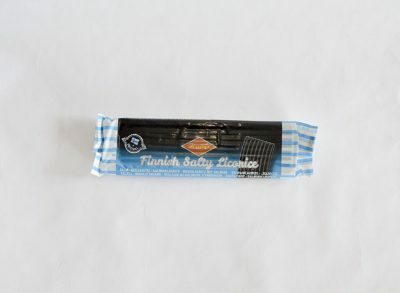 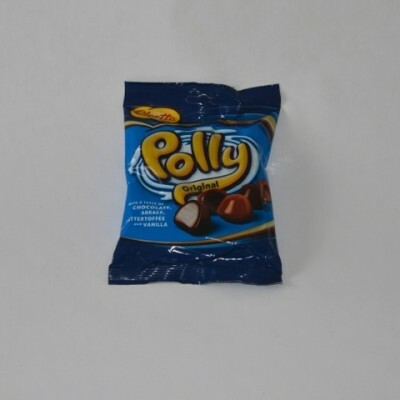 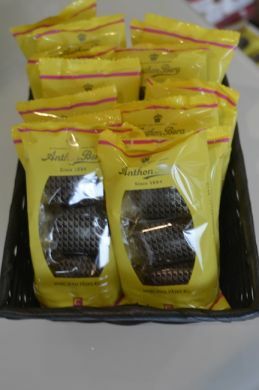 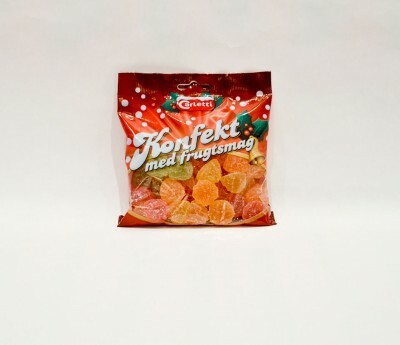 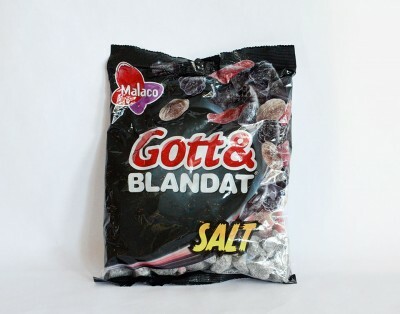 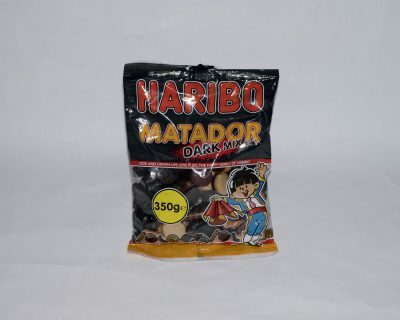 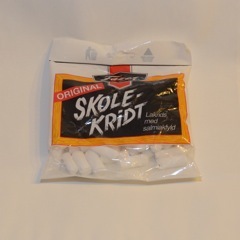 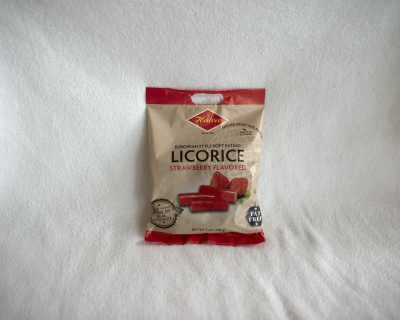 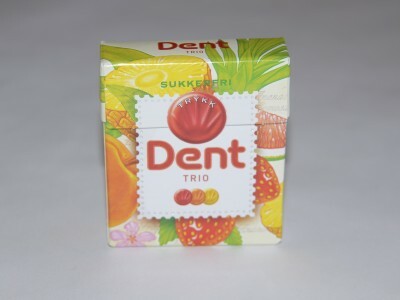 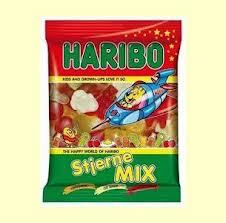 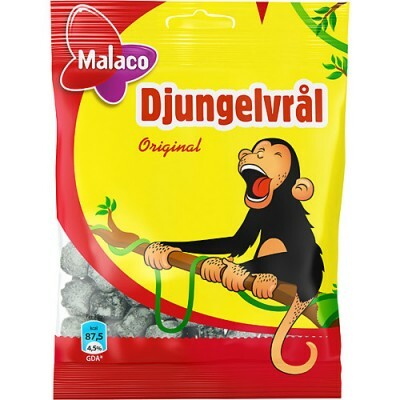 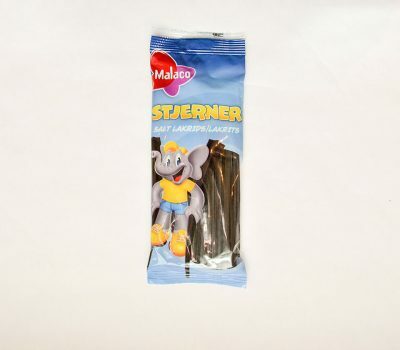 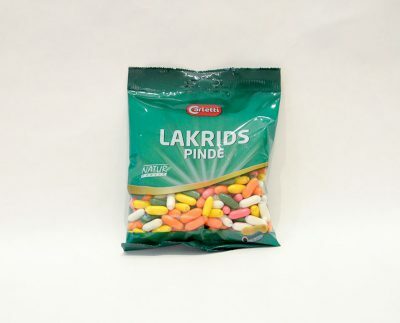 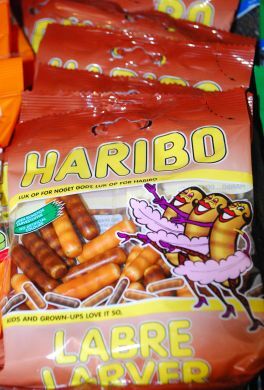 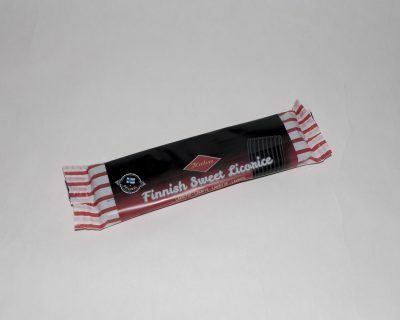 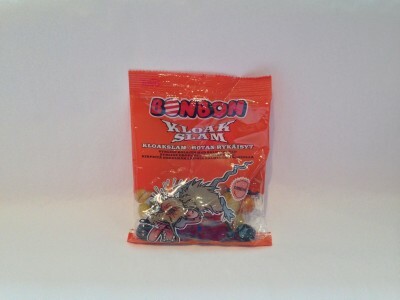 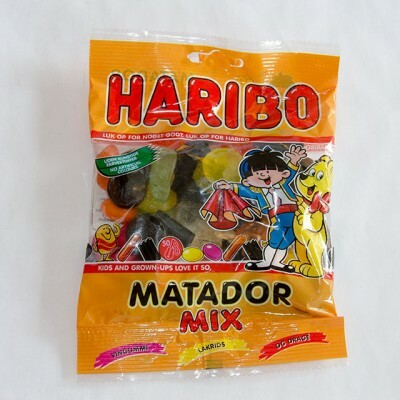 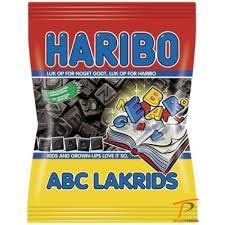 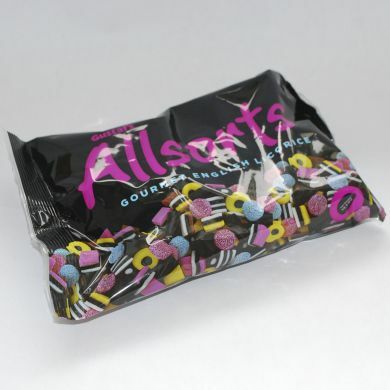 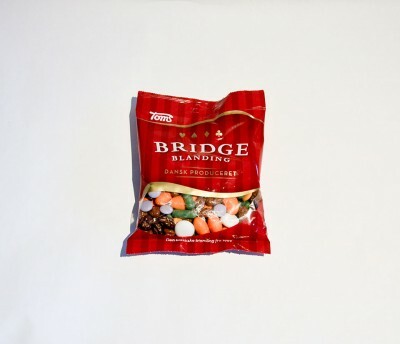 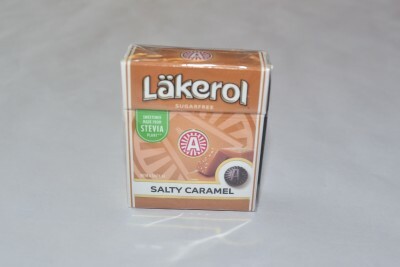 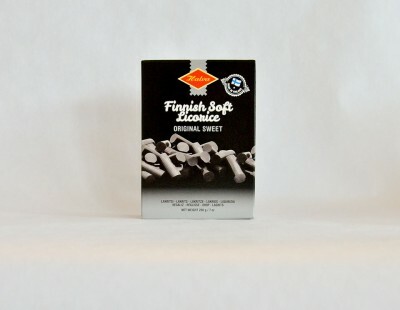 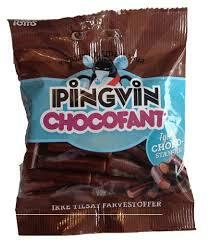 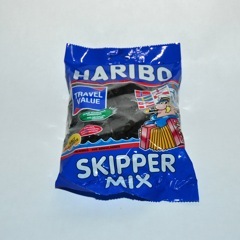 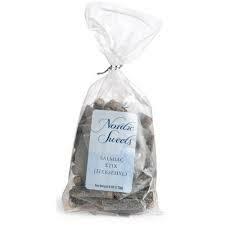 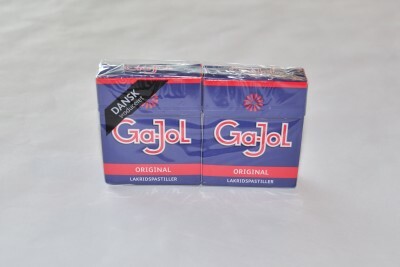 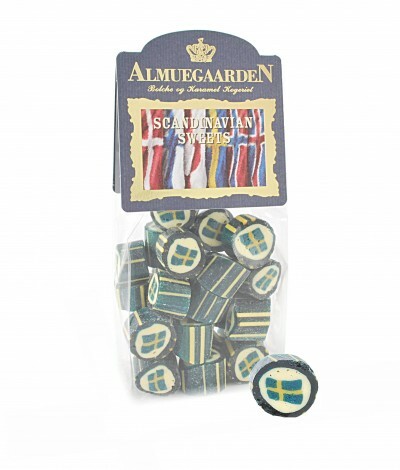 A mixture of sweet and salty licorice and licorice flavored gummy, 350 gram. 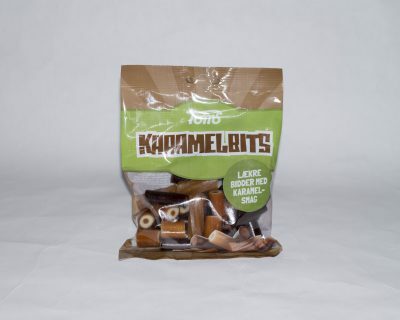 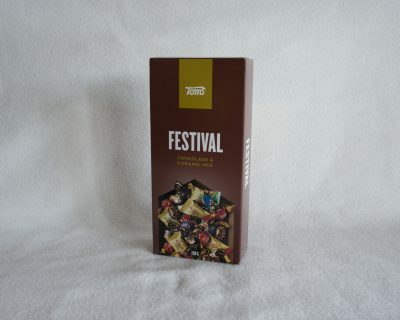 250 gram of a mixture of Toms favorite chocolates and caramels. 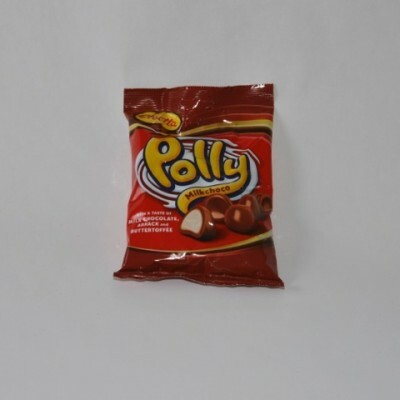 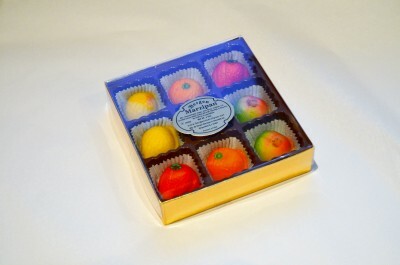 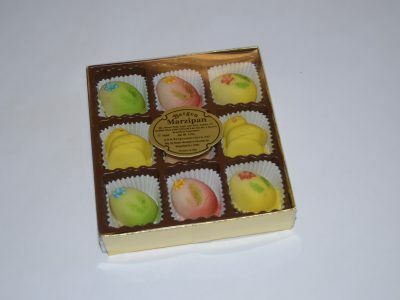 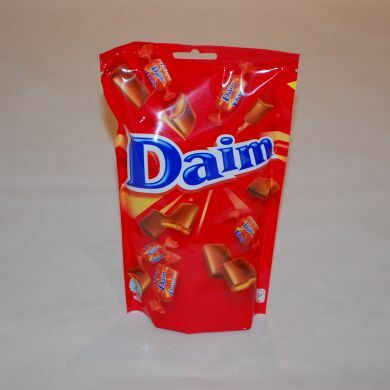 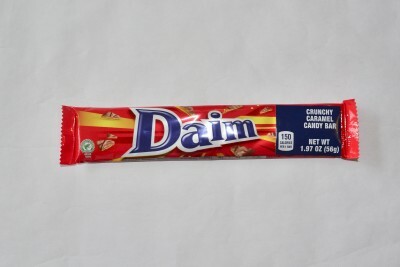 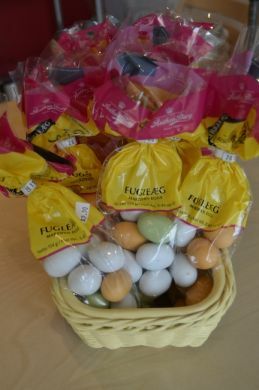 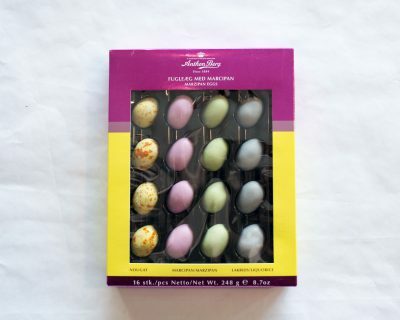 Chocolate pieces are very fragile and might break during shipping. 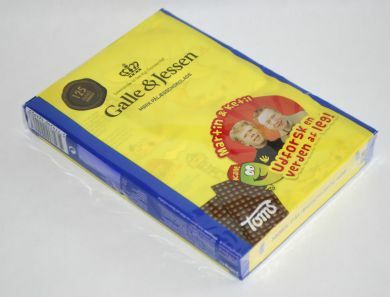 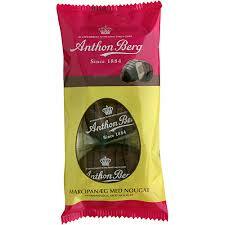 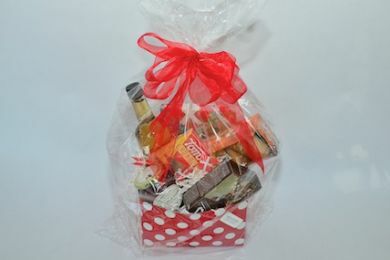 Danish napkins and flags, hyldeblomst drik og marmelade fra Den Gamle Fabrik, Toms pålægs chokolade, kræmmer huse and caramel chocolates from Anthon Berg. 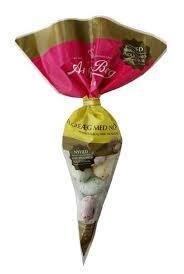 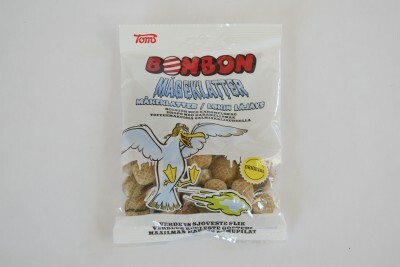 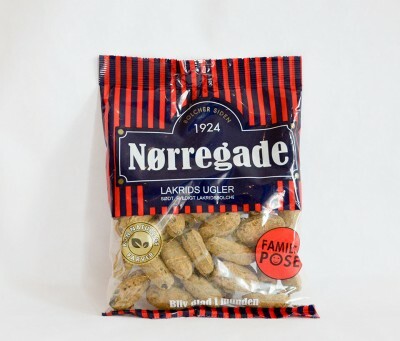 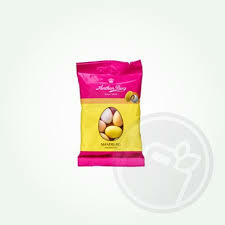 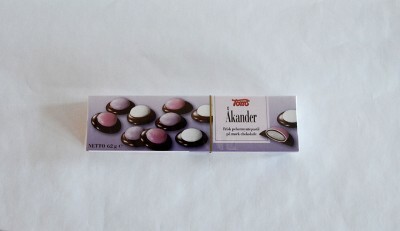 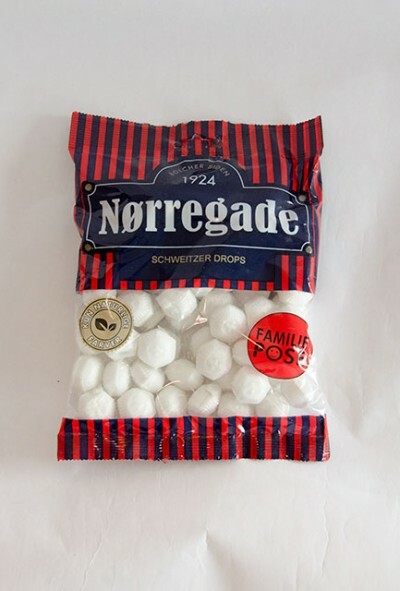 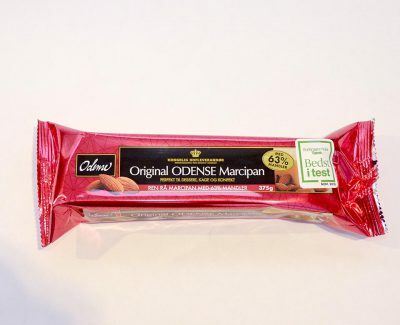 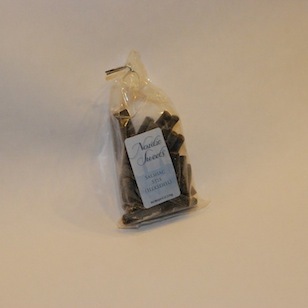 Odense Marcipan 375 gram, almond paste made with 63% almonds. 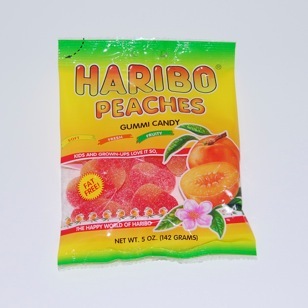 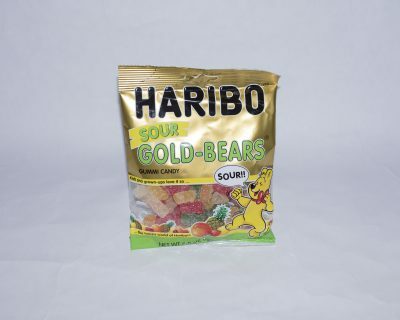 375 gram mixture of gummies and sweet licorice.